The next month will give us some insight into Peter Chiarelli’s strategy on how he plans to build the Oilers organization into a contender. Not just the NHL team, but the overall organizational depth. How will he fill out the 50-man roster? The Oilers currently have 36 players signed for next season. NHL forwards: Taylor Hall, Jordan Eberle, Ryan Nugent-Hopkins, Benoit Pouliot, Nail Yakupov, Teddy Purcell, Anton Lander, Matt Hendricks, Boyd Gordon, Rob Klinkhammer and Luke Gazdic. In the system: Leon Draisaitl, Iiro Pakarinen, Bogdan Yakimov, Jujhar Khaira, Anton Slepyshev, Greg Chase, Mitch Moroz, Ryan Hamilton, Kale Kessy, Travis Ewanyk and Kyle Platzer. NHL: Oscar Klefbom, Mark Fayne, Andrew Ference and Nikita Nikitin. In the system: Darnell Nurse, Jordan Oesterle, David Musil, Joey Laleggia, Dillon Simpson, Martin Gernat and Ben Betker. That leaves Chiarelli with room for 14 more contracts. The Oilers have 12 RFAs they need to qualify before June 29th or lose them to unrestricted free agency. Here are the rules for qualifying offers. million must be offered a 5% raise and players making over $1 million can be qualified at the same salary as last season. Walking away from Schultz doesn’t make sense. Ideally he wouldn’t have been overpaid last summer so Chiarelli could sign him to another one or two-year deal and hope he improves, but Schultz being overpaid last year is another reason MacTavish is on longer the GM. Chiarelli could play hard ball and take Schultz to “cut down arbitration” like the Canucks did with Mason Raymond in 2012. Cut down arbitration allows them to over Schultz 85% of last year’s salary, $3.06 million. The Oilers aren’t against the cap, so I doubt Chiarelli elects this option just to save $610,000. It would send a strong message, but I expect him to simply qualify Schultz at his existing salary and hope he improves. Marincin will need to be qualified at a 5% increase, $850,500, and he will be. Marincin needs to prove he can be consistent. Todd Nelson and Gerry Fleming have said on record the challenge with Marincin is getting him to battle harder at key times in the game. He is still young and he has NHL ability, so he’ll be qualified. He needs a 10% raise, and needs to be qualified at $704,000. Davidson continues to improve and will contend for a 3rd pairing spot in training camp. To me, he is a lock to get a qualifying offer. Like Marincin he needs a 5% increase to be qualified, $840,000. He is a cheap option as a depth D-man, and he has experience. I could see this one going either way, but I’m leaning towards the Oilers not qualifying him. He won’t be qualified. He hasn’t been able to start anywhere other than the ECHL. He makes $200,000 in the minors and the Oilers have a lot of young forwards turning pro this year. I don’t expect him to receive an offer. He played 33 games in the ECHL last year with a .876sv% and three games in the AHL with a .904sv%. The Oilers just signed Eetu Laurikainen, and Touhimma signed in Europe so he won’t be back. He needs a 5% increase. Miller led OKC in scoring and has NHL speed. I’d qualify him and I expect Chiarelli will. The remaining four RFAs will cause the most debate. He needs to be qualified at $761,250. Money will not be the issue, Pitlick’s ability to stay healthy will. Chiarelli has no connection to him. He didn’t draft him and that is a factor. Pitlick skates well, is good on the forecheck and has more skill than Rob Klinkhammer. I’d qualify him and I think Chiarelli will give him a one-year deal. He needs be qualified at $687,500. He is a bit cheaper than Pitlick. Chiarelli knows him from Boston and that could help and hinder him at the same time. Fraser has an NHL caliber shot, but his skating is the main concern. I don’t see him fitting in a checking role or on an energy line. I’d walk away from him and let him try to catch on with another organization. He is in the same boat at Pitlick. Injuries have slowed his development, and even though he his coming off his best pro season, I’m not sure it is enough to garner another contract in Edmonton. Chase, Platzer and Slepyshev will be in OKC next year, and Draisailt might be as well. I’d rather see how they can develop than give Hamilton another year. He is an AHL player. His skating is not NHL caliber and combined with being undersized and his lack of defensive awareness, I only see him as an AHL player. He is a very good AHL defender, but will Laleggia make him expandable? The Oilers have a new AHL home in Bakersfield and they will want to ice a competitive team, so I think Hunt will be qualified. Connor McDavid will be signed very soon after he is drafted so they will have 37 contracts and 12 NHL forwards. I wonder if the Oilers and Gernat agree to void the last year of his contract. If he looks at the depth chart he must realize he has no future in Edmonton. He could make more money playing in Europe. Of the RFAs, who would you qualify and why? I had a one-on-one exclusive with Taylor Hall. He talks about playing with Crosby, learning from McLellan and more. It’s amazing/amusing/sad how many people can’t do simple arithmetic. On one hand nearly everyone agrees that the Oilers need to add at least 2 top 4 D plus a starting goalie in order to be competitive; many of these same people want to trade draft picks for 1 player (either Chara or Seabrook or Hamilton) with a ~ $7 million salary then go after what else we need in free agency or trades. In the first place, the Oilers have ~ $5 million +/_ 10% in cap space so we couldn’t fit even one of those Steve Austins ($6 Million Man, get it ?) within our budget let alone be able to acquire the rest of our needs. In the second place, second pairing D are paid in the range of $3.5/5.5 per year; so even if we could finesse our cap space to acquire that top pairing guy, we would need to trade at least $4 million in salary to get another top 4 guy. So who could/would you trade away in that salary range (bearing in mind that it would have to be someone that the other team would be willing to accept so not NN). I seem to recall a near revolt on Oilers Nation when we traded Perron away. In the third place, remember that bonuses earned by Draisaitl, Nurse et al in 2015/16 will count against next year’s cap. Gosh it’s so easy being a real GM as opposed to an armchair GM isn’t it? WAIT, WHAT? Did I miss something… what happened to Fasth? Fasth’s contract is up and is not good enough to keep around. They will let him go to free agency. 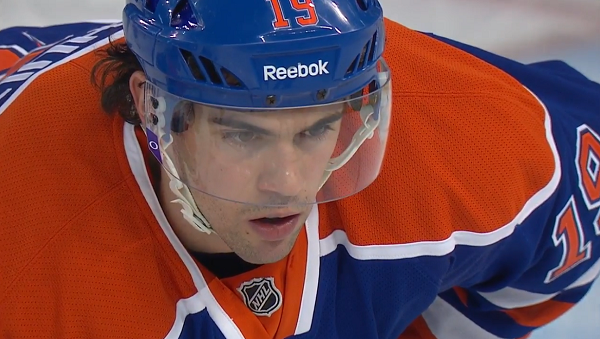 He’ll be 29 to start the season and last year as an Oiler was the first time he was an NHL regular. What does that tell you? He is a 4th line player at best with really only one dimension, he hits. He cannot PK, bring offense, win draws or even fight for that matter. Guys like Pitlick may not even be qualified basically because we are stuck with Klinkhammer in the spot they could have taken. I’d think anyone would argue that Pitlick has more upside than Klinkhammer and could arguably be no worse in that 4W spot. In 4 pros years Pitlick has played 62/44/49 and 31 games. He might be a better player than Klinkhammer, but is he can’t stay healthy he is of no use. Disagree with one point. If Chia is worth his salt, he walks from Jultz. Jultz is a suspect, not a prospect. He is 25 years old, and hasnt got any better at all so far. Do you think he’ll be better when he’s 30? 35? Nope. Should have kept Petry. Chia trades or walks from Jultz. I may be the only one who thinks that Aulie would be a good cheap signing. He put in decent minutes, is great in front of the net, has some size that’s needed and confusingly had I think one of the best +/- numbers on the Oil this year which is impressive in itself. I liked his work ethic too as he knew he was playing for a job and played every shift like it was his last one. He is a good enough signing for under a mill and as that spare defenceman, I think he would be fine for another season or two. It only one addition but looks like an improvement to me. Kid/vet on each pairing. And no more jultz. Why always with the “Chara”? Lettuce/marincin Tomato/Fayne Bacon/ference how does Chara fit into that? Fasth is going to have a rebound year next year he was good in Anaheim, i liked when we picked him up i just didn’t like how he was used under Eakins much like the rest of the goalies over the years, then when Nelson came in Fasth was trending up i wish i could say the same for Scrivens, i’m just hope Scrivens doing a ton of work over the summer to clean up his corners and down low game, thats if he wants to stay i the league much longer. I have been saying it for years now, but how the Oilers would use their goalies in the past just gave wind for the term that the Oilers are goalie killers. Nelson was using them the right way and now that we have Mclellan Oilers are no longer goalie killers, we just need top pairing and a clear number one, then we should be fine. 1) Talk turkey with Schultz. If he won’t take a 2 year deal at a pay cut, qualify him for one year and let him know this is his last shot. 3) Replace Aulie and Frasier/Pitlick with NHL veterans towards the end of FA. Whoops – forgot about Davidson. Keep him on a 2-way deal for leadership at Bakersfield, plus we could do worse for an NHL injury replacement for a few weeks.